That is what "SG" stands for. It relates to a new process called "instantaneization" that improves the dispersion of powdered tannins in cold water. Tannins branded SG represent Vason's premium range as they are easily dissolved in cold water and yet preserve their organoleptic and technological characteristics. PREMIUM® TOSTATO SGPREMIUM® TOSTATO SG: High-range ellagic product, suggested for the finishing stages. PREMIUM® LIMOUSIN SPECIAL SGPREMIUM® LIMOUSIN SPECIAL SG: excellent for the finishing stages, this product is meant for the secondary fermentation of selected lots of very high quality Toasted Limousin cask wood Increases the woody and toast hints. Very soft tannin. Limited increase in tannicity. PREMIUM® LIMOUSIN SGPREMIUM® LIMOUSIN SG: An absolute landmark because of its versatile activity, the quality for which it is known. It can realize its full potential in the Procedure EV for the structuring and maturation and finishing stages in vinification in red. PREMIUM® UVA SGPREMIUM® UVA SG: it reflects the tannic composition naturally present in grapes. Its high reactivity to proteins and the coloring substance make this a very important tool in vinification. As a protein stabilizer in white wines, from fine fermentation until racking. To reduce the activity of oxidizing enzymes, at grape pressing. To rebalance the tannin composition of red wines, from devatting onwards, also during structuration, together with an accurate dosage of oxygen through micro-oxygenation. PREMIUM® STAB SGPREMIUM® STAB SG: Allows for the treatment of wine with minimal disturbance of the sensory characteristics of the product. It has an optimal reactivity to proteins. Tests have shown this is an effective stabilizer against the invasiveness of oxygen. Its exclusive action is advisable for fine white wines, even the aromatic ones, during maturation or pre-bottling. Gall Limited interference with the organoleptic characteristics. PREMIUM® BARRIQUEPREMIUM® BARRIQUE: contributes effectively to the stabilization of the coloring fraction of red wines, simultaneously giving a wine better longevity and resistance to oxidation. It brings a more noticeable tannic note to the wine than PREMIUM® LIMOUSIN. Limousin cask wood + Gall Increases the structure and complexity of white wines. Limited increase in tannicity. PREMIUM® COLOR SGPREMIUM® COLOR SG: Pool of ellagic, gallic, catechinic and procyanidinic tannins with a synergetic action for the color stabilization of great wines. To be used at grape pressing and/or devatting, in structuration. Limousin cask wood + Chestnut + Gall + Grapes Increases structure. Limited influence on the sensory characteristics. PREMIUM® TAN SGPREMIUM® TAN SG: Recommended for structuring and maturation in vinification in red, and during the fermentation or blending stages of white wines - in moderate amounts. Cask wood Limited increase of the woody hints. Increases tannic structure. COLOR STAB SGCOLOR STAB SG: Pool of ellagic, gallic, and catechinic tannins with a synergetic action for the color stabilization of great red wines. Applications over multiple years currently show it to be a product of reference. COLORSTAB® is an integral part of the Procedure for vinification of red wines and micro-oxygenation. Tara +Gall + Chestnut + Quebracho + Cask wood Increases structure. Limited influence on the sensory characteristics. QUERCIAQUERCIA: Pool of ellagitannins obtained from esteemed cask wood. QUERCIA contributes effectively to the stabilization of the coloring fraction of red wines, simultaneously giving a wine better longevity and resistance to oxidation. On white wines, it is used at the end of fermentation to aid clarification and potential protein stability. It has shown to prevent oxidation, which increases the longevity of the product. Cask wood + Chestnut Increases roundness, adds a slight woody hint. CASTANEACASTANEA: it is used during blending of white wines to render resistance to oxidation. It contributes considerably to color stabilization of red wines, giving them more complexity and body. Ideal for dosage at devatting, to give more body during structuration. Chestnut Wood Increases roundness and tenacity. or V TAN LV TAN SG: Recommended for structuring and maturation in vinification in red, and during the fermentation or blending stages of white wines in moderate amounts. Chestnut + Tara + Gall + Quebracho Increases tannic structure. Limited influence on the sensory characteristics. V TAN L is the liquid form. EASY TAN PLUS SGEASY TAN PLUS SG: used during the finishing stages, is very elegant, even at high dosages. The treated wines exhibit a fuller body and a superior aromatic complexity, with delicate vanilla and woody (‘boisé’) hints. It is submitted to a special granulation treatment to make it quickly soluble in water. French cask wood + Toasted Limousin cask wood Increases the woody and roast hints. Limited increase in tannicity. EASY TAN SGEASY TAN SG: can be used in maturation and finishing of white wines to render harmony and resistance to oxidation. On red wines, it can be used from the point of draining the tank to contribute polyphenolic components to the structuring stages, and during maturation for a fuller body. EASY TAN® SG is submitted to a special granulation treatment to make it quickly soluble in water. French cask wood + Limousin cask wood Increases roundness and tenacity. 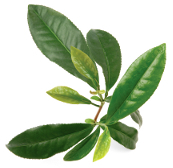 TI PREMIUM® SGTI PREMIUM® SG: Characterized by high catechinic content, with a composition very similar to the grapes’ one, obtained through a delicate extraction process of the best Oriental selections of green tea. TUTTIFRUTTI® RED SGTUTTIFRUTTI RED SG: is an ellagic, fruited, tannin, characterized by clean notes of red-berried fruit. Indicated for the pre-bottling operations with dosages from 2 to 5 g/hL on reds and from 1 to 5 on rosé. PREMIUM® VINACCIOLO SGPREMIUM® VINACCIOLO SG: Its tannic composition is typically catechinic, originated from well-ripened berries. Therefore it has a very pleasant and fresh organoleptic aspect even used at higher dosages. The formulation of procyanidic and catechinic origin gives this product a high reactivity both towards proteins (polyphenoloxidases included) and colouring substances. PREMIUM® RESVERATROLO SGPREMIUM® RESVERATROLO SG: The innovative aspect of PREMIUM® RESVERATROLO SG lays in its composition including a tannin extracted from red-berried Vitis vinifera leaves: the initial intuition got its confirmation from the scientific world, which for many years has been indicating vine leaf, as a very interesting raw material due to the marked presence of resveratrol, well-known compound with antiradicalic and antioxidant effect. Red-berried Vitis vinifera leaf Limited effects on olfactive characteristics, giving complexity. Increases the volume but remains palatable. TUTTIFRUTTI® WHITE SGTUTTIFRUTTI WHITE SG: The gallic element in the granule can be distinguished for its antioxidant/antoxidasic reactivity and its limited astringency to the palate. It is used in white and rosé wines, from the early stages of preservation. The products treated this way have greater volume and are more resistant to oxidations. It can be used also later at lower doses, until the final stages of preparation for bottling. It has a clarifying activity. Fruit wood Increases resistance to oxidation. TANNIN ETERETANNIN ETERE: It is a pure gallic tannin, extremely reactive with proteins and therefore with anti-oxidant protection. It has clarifying activity. It confers higher structure while interfering in a limited way from the olfactive point of view. PREMIUM® CATECHINA PIU SGPREMIUM® CATECHINA PIU SG: possesses high reactivity to both coloring substances and to the proteins, including the polyphenoloxidases. Treated wines result aromatically more complex, fresh and endowed with a fuller body. Top of the range catechinic mixture Improves softness and complexity. Slight sweet note. Enhances the original wine's characteristics.